Ms. Benzinger provides data validation, verification, analytical method selection, laboratory coordination, and data management support for multiple environmental projects. She provides data validation consistent with U.S. Environmental Protection Agency guidelines for typical organic and inorganic data, including dioxins and furans. Her strengths include careful assessment of environmental data in accordance with validation and project requirements…. Ms. Benzinger provides data validation, verification, analytical method selection, laboratory coordination, and data management support for multiple environmental projects. She provides data validation consistent with U.S. Environmental Protection Agency guidelines for typical organic and inorganic data, including dioxins and furans. Her strengths include careful assessment of environmental data in accordance with validation and project requirements. 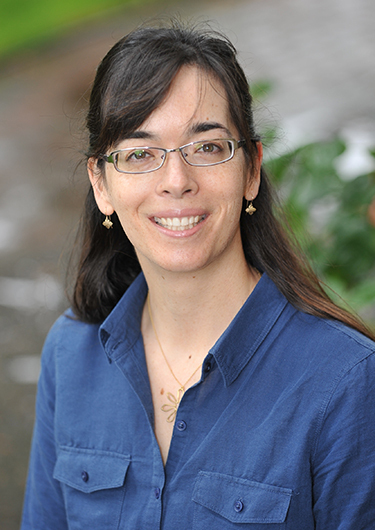 Ms. Benzinger brings with her over six years of experience in producing high-quality environmental data. Her environmental laboratory background includes the receipt, processing, and analysis of multiple sample matrices for environmental contaminants such as pesticides, herbicides, and volatile organic compounds. She has worked as a high-performance liquid chromatography environmental chemist and operated Perkin-Elmer, Shimadzu, and Varian instrument components for the analysis of contaminants in water and soil extracts. In this role, she gained familiarity with drinking water, groundwater, and wastewater methods such as USEPA 524, 531, 547, 549, 550, 632, 8310, and 8315. Ms. Benzinger has also prepared and analyzed air, water, and soil samples for VOCs by USEPA 524 and 8260. Her experience with laboratory data includes the generation, review, and transfer of data with FoxPro- and Microsoft Access-based laboratory information management systems, as well as generation of final laboratory reports. Ms. Benzinger has worked in a quality assurance capacity in which she reviewed environmental analytical results, assisted with in-house audits, and prepared laboratory level data packages. She has experience with data storage and retrieval, and used Microsoft Access and Excel for data entry and data extraction throughout her laboratory work.